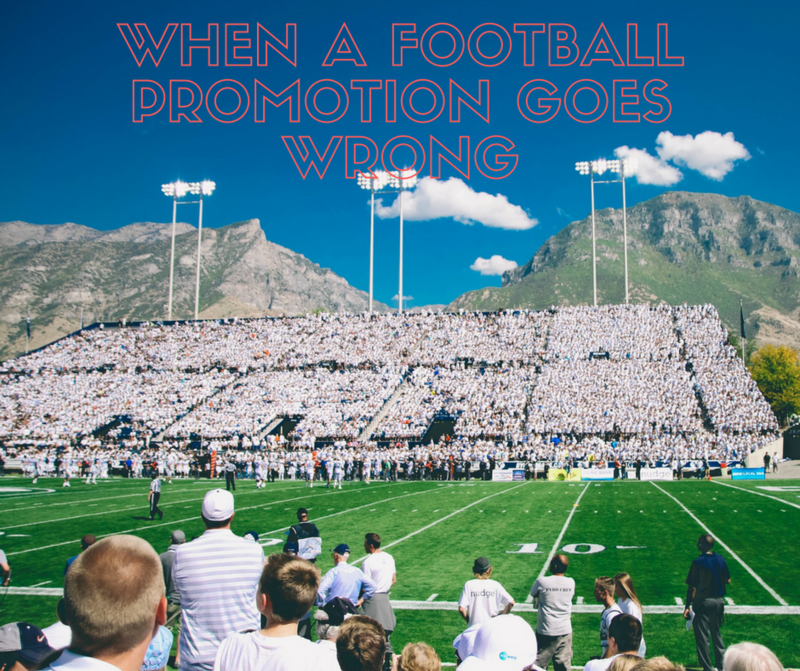 Doing promotions is supposed to be a good thing for business. It’s used to generate traffic and sales. They are generally set up to get the customers the best deal without losing money. They should be well thought out and not on the spur of the moment. When you do quick deals sometimes things can go wrong, very wrong. The promotion I am going to profile, I can’t say for sure this is the reason it happened. Ruth Chris Steak House came up with a promotion for the University of Michigan game against Rutgers. If Michigan won the game, every point they won by would be a discount at the restaurant. For example, if they won 48 – 35, it would be 13% off. This was to run the Sunday after the game till the following Thursday. It seems pretty simple. What could possibly go wrong with this promotion? Before I give you the score. Football games can be extremely one sided. This should be kept in mind when crafting the special. The score of the game was Michigan won the game 78 – 0. Yes, that would translate into 78% off your meal at Ruth Chris Steak House in Ann Arbor. Ruth Chris took to Facebook to clarify the promotion. They capped the discount at 50% off. This should have been set into the promotion ahead of time. Try to think about all possibilities and put a cap in the initial offer. Something like “We will give a discount for every point the University of Michigan scores against Rutgers, up to 35% off.” This would let people know that the most you will get is 35% off. Plus it would save face. It caused a PR disaster. Just take a few minutes to read the comments. On top of that, the restaurant has been booked up every night since Sunday. Therefore, more people are complaining about not being able to get in. Spell out all disclaimers as well. In the example here, No Alcohol, Must by and Entre, etc. Tell if there is limited space and it’s first come first serve basis. No rainchecks or further discounts will be given. You can’t predict all problems in situations such as this, but you can try to minimize them. Podcasting – What is it?